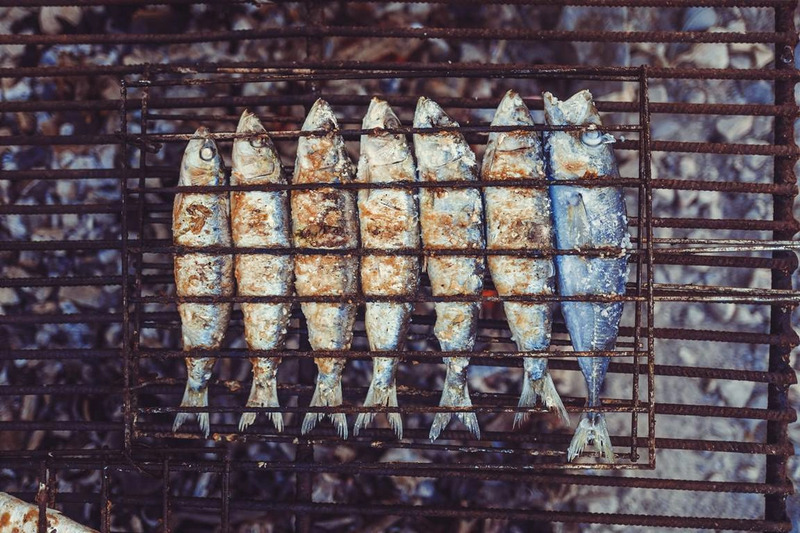 Are you thinking of visiting the Algarve this summer? It’s a beautiful part of Europe and the most popular tourist destination in Portugal. But is it wise to visit when you don’t have the use of a car or campervan? Where can you go and how easy is it to get from A to B if you choose to go car-less in the Algarve? If you’re on holiday and are keen to explore everything that Portugal has to offer, taking your own car or renting a car (vintage vans are a safe and fun bet in Portugal!) is undoubtedly the easiest way to get around. Many remote villages and beaches on the Algarve have little or no public transport access, meaning you could miss out on some local gems. That said, the Portuguese are notoriously impatient drivers with many bad habits have taken root, including overtaking on hills or blind corners. Given the sad fact that Portugal has one of the highest levels of road casualties per population in Europe, perhaps choosing not to use a car on holiday isn’t such a bad idea. The good news is that it is absolutely possible to get around the Algarve without your own transport. Arriving at Faro Airport, you’ll find that bus and train services are widely available as long as you’re not in a hurry (see here for the options and timetables). If you’re used to driving everywhere back home, the extra time it takes to wait for public transport is bound to take some getting used to. 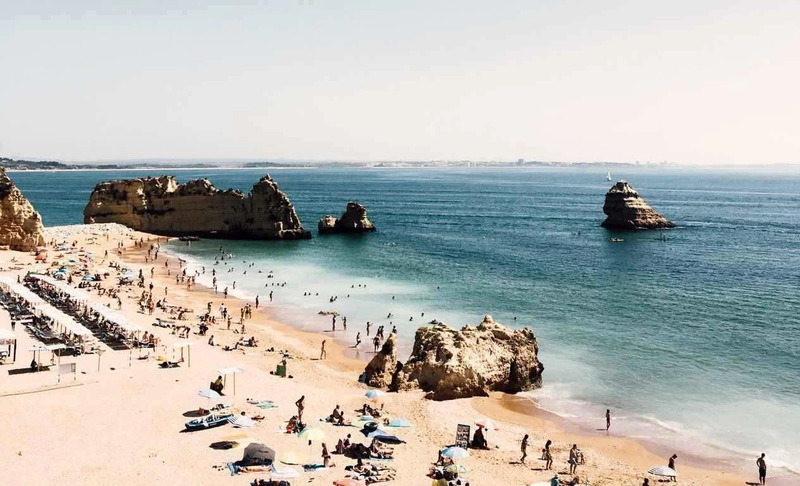 Bear in mind that except for the densely populated strip along the coast, the rest of the Algarve region is pretty empty, so there’s no point expecting big city schedules and up-to-the-minute convenience. The trick is to invest in a bit of time and effort to plan and schedule your outings. Fares are a lot cheaper compared to the UK, so you’ll be saving money by not taking the car. Another advantage of waiting for a bus or train is that it gives you a chance to people watch, relax with a coffee or a glass of vinho and actually just watch the world go by. You are on holiday after all. Portuguese trains are operated by CP, with timetables and prices available online. You can buy your tickets at the train station or, if there’s no ticket office, on the train. There are usually special discounts available during the summer season. The Linha do Algarve runs the length of the Algarve from Lagos in the west to Vila Real de Santo Antonio on the Spanish border in the east. Faro is the hub of this line and it’s where you need to change trains to go anywhere else. Albufeira has a tourist train that meanders around various sites around the town, on a hop-on-hop-off basis. Pick up a brochure and map from the local tourist information office or your hotel. Eva Transportes is the Algarve bus company and their local bus service isn’t at all bad. You can buy a Tourist Pass that’s valid for unlimited use for a 3 day (€ 30.10) or 7 day (€ 37.50) period, which is excellent value. If you’re going to make use of this facility, it’s a good idea to plan out your sightseeing itinerary in advance. The best way to get from Faro Airport to Faro train station is by bus, which runs twice an hour and takes about 20 minutes. Tickets are about €2.50 and can be bought on the bus. 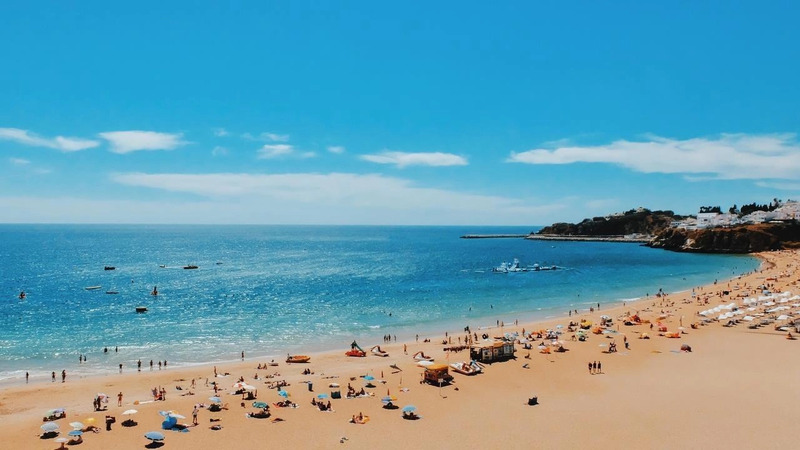 On the Algarve, many towns including Faro, Lagos, Albufeira, and Portimao have their own urban bus networks, and there are frequent daily long-distance services connecting all the major towns in the region with Lisbon and other areas in Portugal. What’s more, if you want to get to Sagres and out to Cape St Vincent, your only option is to take the bus, as there is no train service. Keep in mind that many bus services stop after about 8 pm, while buses will run a lot less frequently on weekends and public holidays than on weekdays. Portuguese taxis are easy to spot – they’re either beige or black and green – and taxi ranks are everywhere in city centers, outside big hotels, and in the resorts. They’re a quick, cheap and convenient way to get around, particularly in urban areas. Most taxis will only take up to 4 passengers unless a 6-seater or 8-seater has been specially booked in advance. Uber is also available on the Algarve. This smartphone taxi service is gaining in popularity on account of its all-around competitiveness in terms of price, ease of use and safety compared to regular taxis. However, for the time being, Uber is concentrated predominantly in the busiest areas of the Algarve such as Faro, Albufeira, and Vilamoura – waiting times in other areas may be longer. 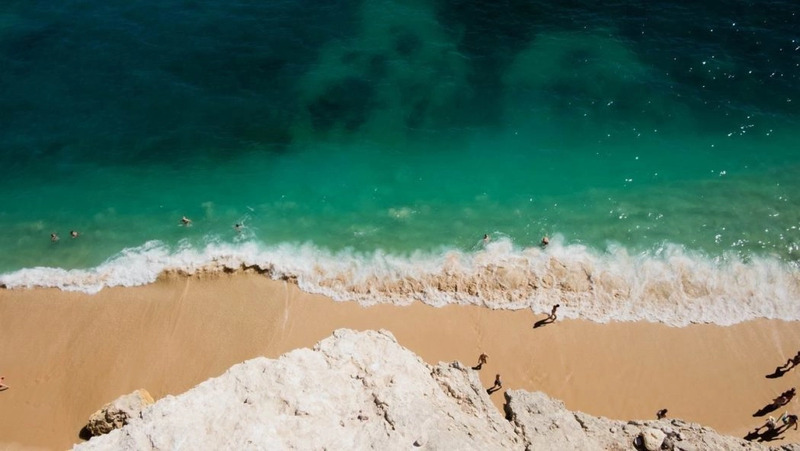 If you’re only planning to go to a few places, say from the airport to hotel and back, plus perhaps a couple of extra family outings, there’s a wide choice of private transfer services available on the Algarve. These are typically small operators that will collect you from the airport and take you to your accommodation. It’s a good option for larger families or groups of friends traveling together. But as it’s a totally personalized service, prices can be high. Do your research well in advance of your trip and find a good transfer partner, making sure you use your advanced negotiation skills to secure a good deal for all the trips you’re planning to do. 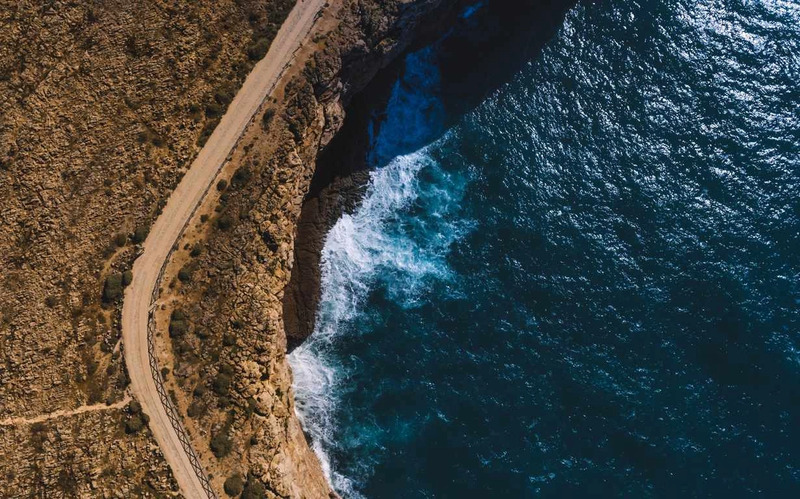 The Algarve is becoming increasingly popular as a cycling destination, even including a number of world-renowned on-road and off-road cycling events. 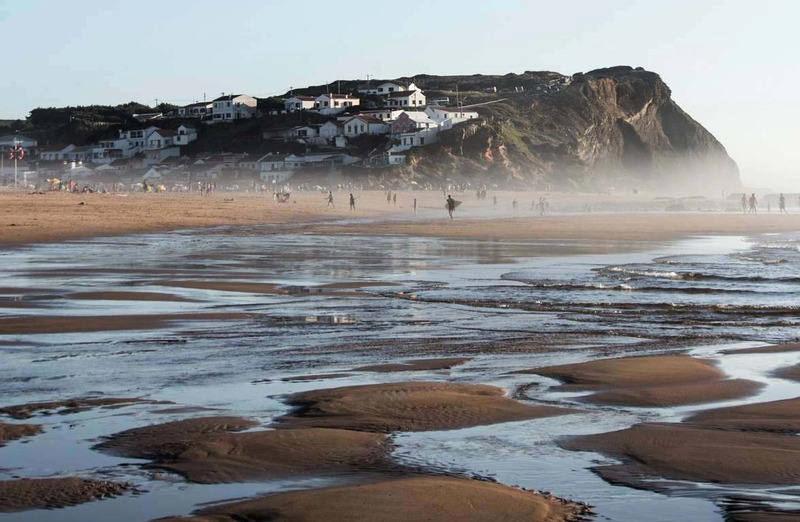 But whether you’re a competitive cyclist or prefer leisurely pedaling, taking the bicycle to Portugal gives you a chance to see the real country behind the tourist façade. As an independent traveler, you have the opportunity to discover weathered hilltop villages and agricultural landscapes linked by quiet roads and the off dirt track, which is ideal for cycling and mountain biking. Recently, local councils have joined together to develop cycle routes along this stunning coastline. Do you have any other tips on how to get around the Algarve? Let us know in the comments below!